We all use dozens of free services, apps, and products from Google. Well, Google Docs is one among those free apps that are used by millions of users. Undoubtedly, Google Docs is a reliable and feature-rich documents editing and management app. That said, not everyone prefers using Google Docs as their primary document management app. 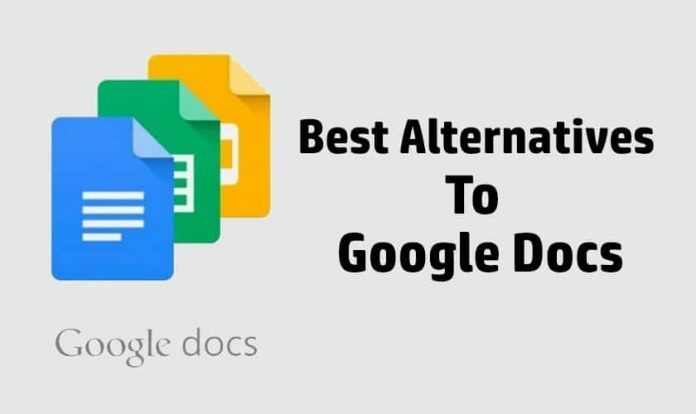 Consequently, here’s a list of some of the best alternatives to Google Docs that are worth checking out. The first best alternative to Google Docs is Microsoft Word Online. You can consider Microsoft Word Online as a free online version of Microsoft’s reliable office suite. Microsoft Word Online offers a decent amount of templates, and it’s a full-fledged documents editor. 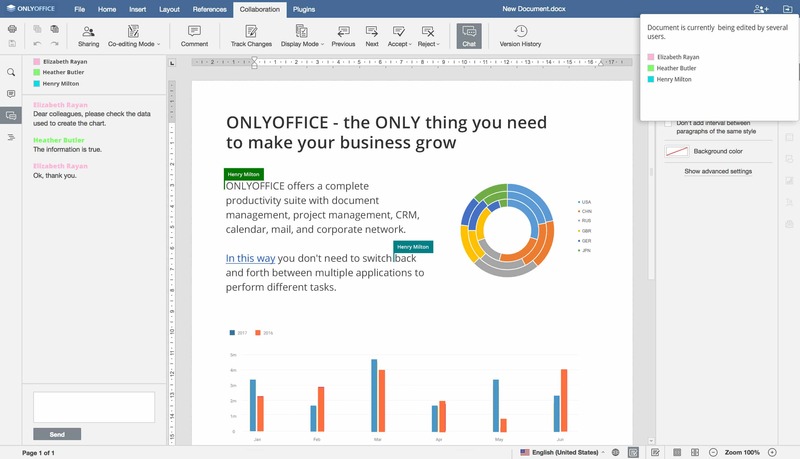 In addition to Word, Office online allows users to access Excel, PowerPoint, OneNote, and Outlook. All of your documents are saved to your Onedrive account. Overall, Microsoft Word Online is a feature-rich alternative to Google Docs, and it simply gets the job done. Nuclino is the next best Google Docs alternative. This free collaborative document editor has a clean and straightforward UI which makes writing and editing documents a pleasant experience. 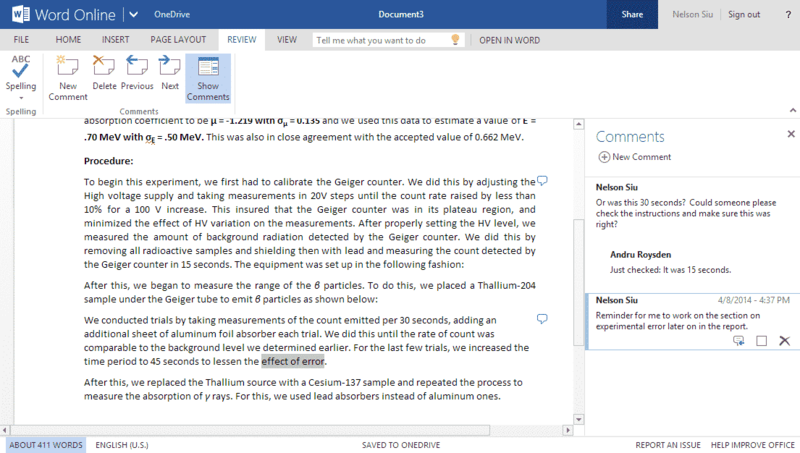 You can create different workspaces and collaborate with your teammates while editing documents. 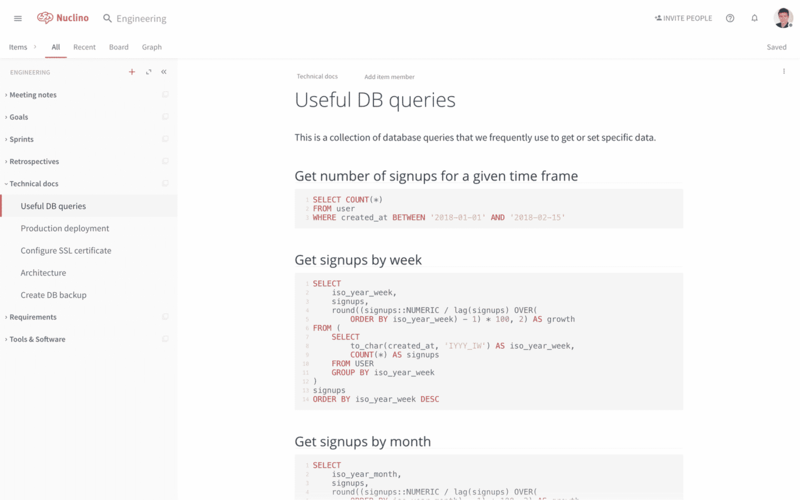 Due to its clutter-free UI Nuclino is relatively simple to use. The free version is more than enough for small teams while the paid version will allow users to invite unlimited members, create unlimited pages, and integrate different apps like YouTube, Vimeo, and Soundcloud. The next best Google Docs alternative on the list is Writer 5. Well, Writer 5 is a relatively newer version of the famous Zoho Writer. Writer 5 relies on AI and automation to offer a seamless word processing experience. Nifty features like the ability to post or save drafts directly to WordPress, the ability to directly insert charts into documents from Zoho Sheet, and the ability to add a physical signature in multiple documents help Writer 5 to stand out from the crowd. Lastly, using the iOS application for iPhone and iPad, you can continue using Writer 5 when you are offline. 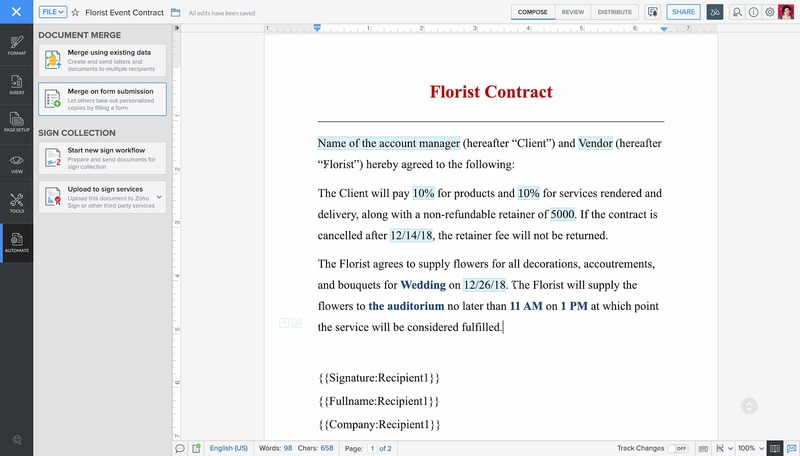 OnlyOffice is another feature-rich alternative to Google Docs. This online word processing site is fully compatible with Office formats like DOC, DOCX, ODT, RTF, TXT, PDF, HTML, PPT, PPTX and much more. OnlyOffice allows users to connect different cloud storage accounts which makes it much easier to synchronize and store a document. In addition to that, OnlyOffice has a good selection of formatting tools which further enhance the editing experience. OnlyOffice also supports add-ons which help users to insert videos, edit pictures, translate texts. Overall OnlyOffice is a reliable alternative to Google Docs. If you have been scouting for a collaborative alternative to Google Docs, then Etherpad might impress you. 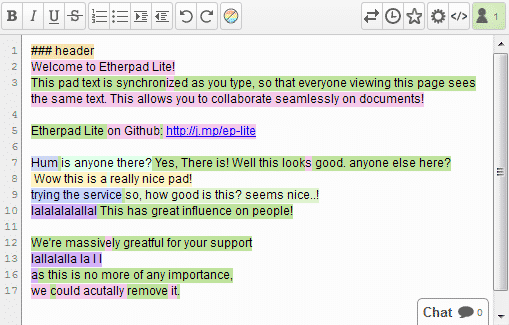 This open-source online editor allows users to edit documents collaboratively in real-time. To use Etherpad you have to pick one of the publicly available instances and invite your teammates to join the pad. Etherpad saves all of the edited versions for further revisions. Furthermore, Etherpad allows users to communicate with each other using the built-in chat feature. Overall, Etherpad is a perfect tool for writing and sharing documents. So these were some of the best Google Docs alternatives that are worth checking out. Using these Google Docs alternatives you can quickly write, edit, and share your documents. Additionally, all of these alternatives are available online which eliminates the need for downloading additional software. Do share any of personal recommendations for the best alternatives to Google Docs in the comments section below.